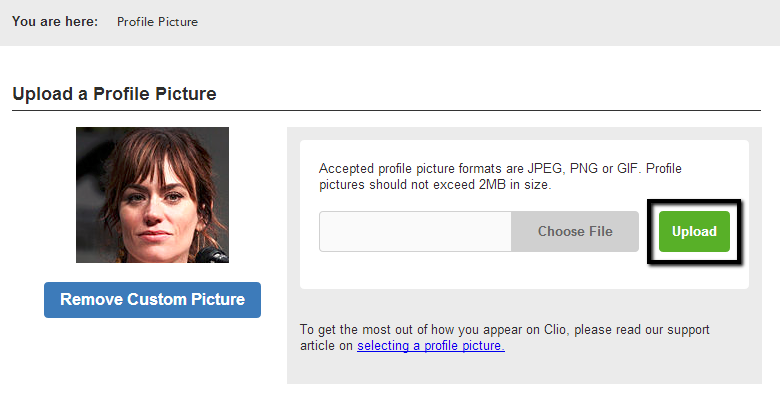 Clio Connect clients can update their information including adding their own profile picture. Simply click on “Edit Picture” as above, then click on ‘Choose File’ to locate the picture file from your computer and Upload. 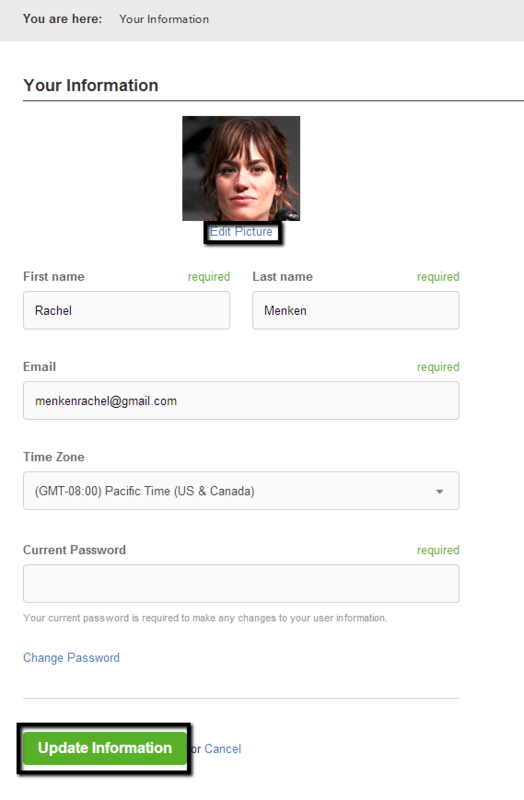 Accepted profile picture formats are JPEG, PNG or GIF. Profile pictures should not exceed 2MB in size.